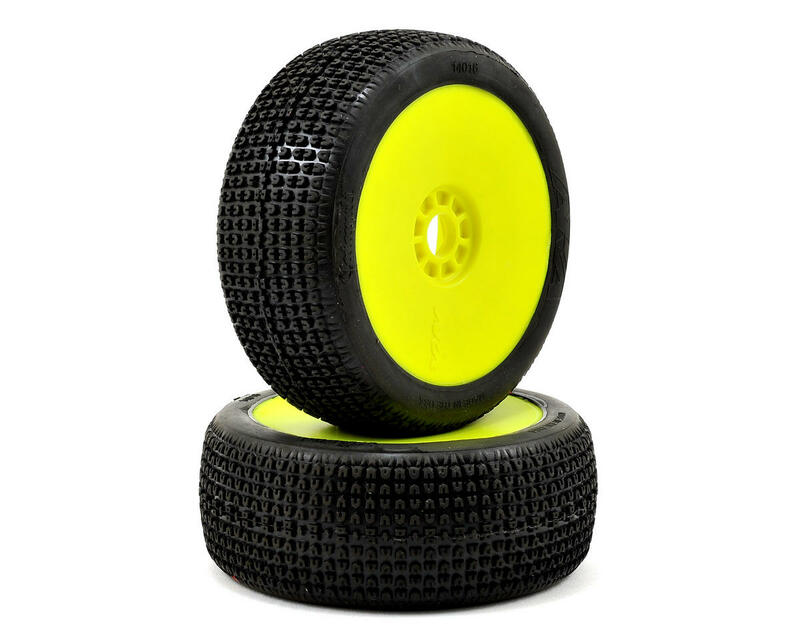 This is a pack of two AKA Racing Catapult 1/8 Buggy Tires, pre-mounted on yellow EVO wheels. 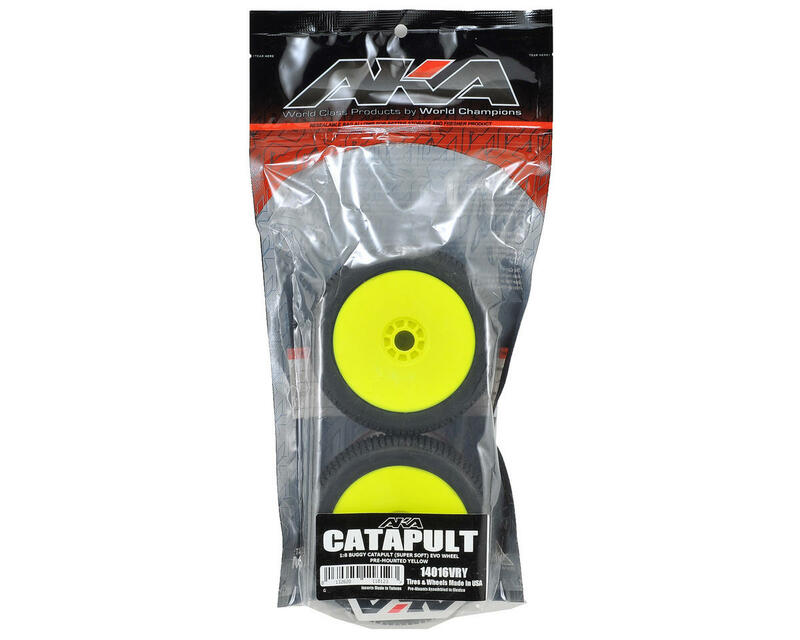 The 1/8 Catapult is engineered to offer a balance of life and traction on dusty abrasive tracks. 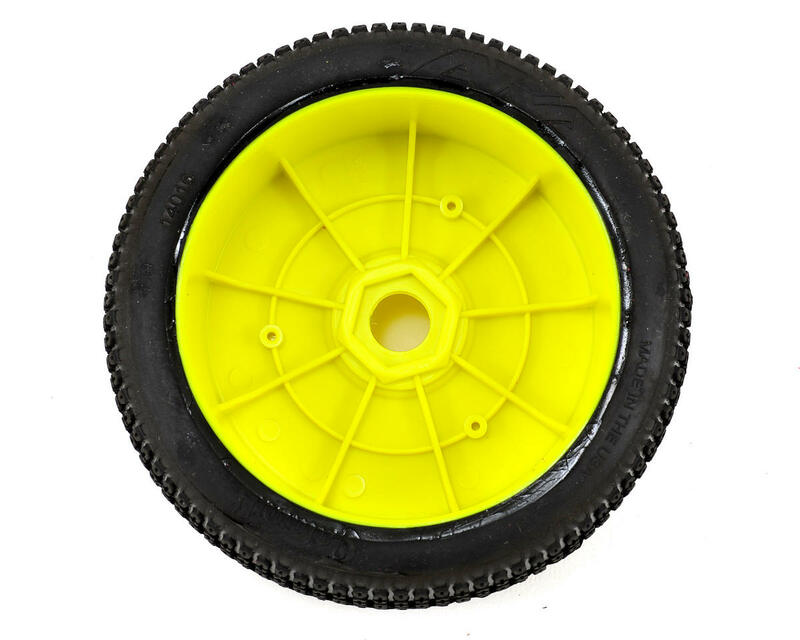 The larger lugs minimize wear, while the "C" shaped treads dig through the dust to find grip.